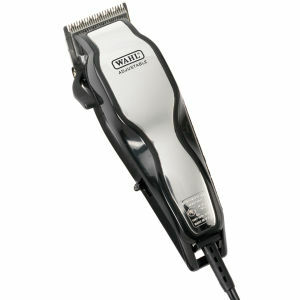 Achieve barber quality results in the comfort of your own home with the Wahl Deluxe Chrome Pro Mains Clipper. Made with high-carbon steel blades, it powerfully yet quietly glides over your head for effective clipping. The 29 piece set features a selection of tools to help you maintain your regime at home, including nasal and compact trimmers for a fully groomed look.